This is a guest post by Liesl Johnson, as part of Now I Know’s Patreon program. 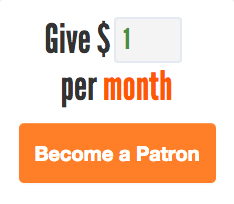 For more information about the Patreon program and how you can support Now I Know, click here. Okay, yes, learning styles are a thing—people talk about them a lot in schools and businesses, and you probably know what kind of learner you are. (Visual? Auditory? Kinesthetic maybe?) If not, you can find stylish infographics on Pinterest that help you figure out your ideal learning style. All this points to a super-popular, long-held belief: that people learn best when their activities match their learning style. So say you’re a kinesthetic learner. That means you’ll learn best when you get to touch things as you learn. Or if you’re an auditory learner, then you’ll remember information better if you get to hear it. Right? Actually, there’s no good reason to believe that. Researchers in education and cognitive science these days are advising against spending any time, effort, or money on learning styles. There’s just no evidence to support their use. It might feel intuitively correct that we learn best in our own styles, but research often contradicts intuitive beliefs about learning. Here’s the nitty-gritty on that. Researchers (like these, these, and these as summarized in this literature review) have used controlled studies to try and see if we learn better when we get to use our preferred learning styles. They put people into groups based on their learning style preferences, and then see if they score higher on tests after learning in their preferred ways (compared to not getting to learn in their preferred ways.) But, hmm. No such difference turned up. Maybe some studies in the future will find better evidence and show that it’s true after all—that people really do learn better in their own styles—but it hasn’t happened yet. So if it’s true that learning styles shouldn’t be a thing, then why are they still so popular? First, there’s a profitable marketplace for them. Dozens of companies sell learning-styles workshops, books, and questionnaires. Second, the process of applying research findings to actual educational and corporate practice is painfully slow. Plus, the idea that you learn best in your own personal style really aligns well with our culture. Everyone is smart in their own special way. That’s surely a harmless and optimistic belief. But according to researchers now, the belief in the usefulness of learning styles may be harmful. It closes off possibilities, they explain. If you think you’re a kinesthetic learner, then you think it’s useless for you to learn by reading, so you don’t even try. Further, focusing on learning styles takes time and resources away from learning methods that really have been shown to work. As these cognitive scientists put it, we shouldn’t “roost in a pigeonhole” of our preferred learning styles when we actually have the power to tackle skills and knowledge by any means necessary. This post was written by Liesl Johnson (M.Ed. ), a word lover, learning enthusiast, and private tutor of reading and writing in the verdant little town of Hilo, Hawaii. She shares her zeal for vocabulary in a daily email called “Make Your Point.” Learn more at www.HiloTutor.com.